Cuba Si!, Chris Marker’s 1961 film about the late Fidel Castro and the Cuban revolution, was produced by Pierre Braunberger and banned in France. It contains much original footage of Castro speaking, and is one of a handful of films not available, to my knowledge, on DVD. It is rarely shown and was not considered by Marker himself as part of his oeuvre that he wished to have projected. He talked about his early films as ‘sketches’ of what was to come, of their being preludes to his later work (post 1962 I believe was his internal dividing line, expressed publicly from time to time). Nonetheless, it is unmistakably a Marker film, bearing his signature, his political engagement, his humour and his curiosity. And indeed, we witness in the evolution of his work an interesting tendency to revisit topics in a more full-bodied manner, transitioning often from court-métrage to long-métrage. 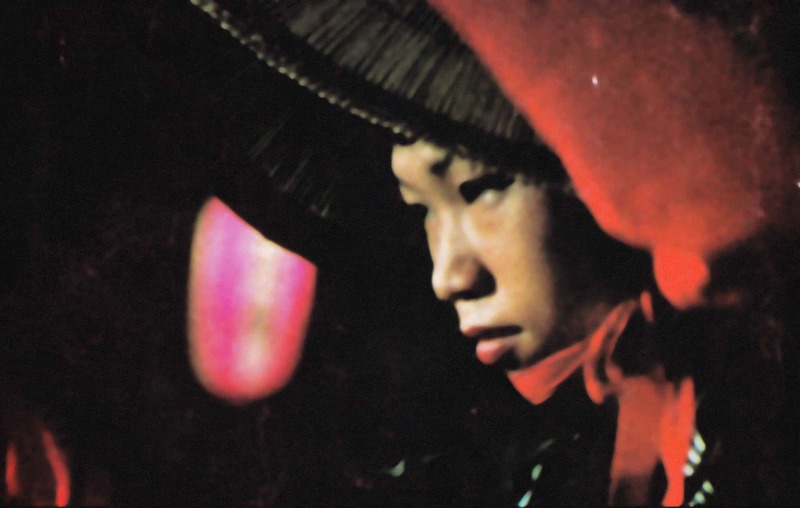 * In this line of thinking, Le Mystère Koumiko (1965) forms a prelude to the more wide-ranging Sans Soleil in its more thorough treatment of Japanese culture. His first film on Alexandr Medvedkin, The Train Rolls On (1972), become the masterpiece letter-film The Last Bolshevik two decades later (1992). Cuba Si! found itself incorporated in part in Le fond de l’air est rouge (1977), itself expanded and revised for the English version Grin Without a Cat in 1988. La Jetée (1963) also found itself inhabiting – in nuanced references – the expanded space of Sans Soleil, though this case is different, for this film begins the period that Marker embraced and encouraged to be shown, inaugurating what he apparently viewed as his mature period and willing the earlier works to the ‘dustbin of history’ – though there was by then already a sizable and wonderful oeuvre, especially when one considers his collaborative work with Resnais. The same year brought Le Joli mai, Marker’s exploration of Paris and the Parisian Zeitgeist using the new technique of ‘direct cinema’ in the wake of the French war in Algeria (1954 to 1962), and Marker oversaw its remastering and re-release before the end of his life. With Cuba Si!, La Jetée and Le Joli mai, in effect we have portraits of the aftermaths of three wars, with three wildly different approaches – documentary, science fiction and direct cinema. The subject is omnipresent in Marker’s work, returning forcefully again in Level Five‘s treatment of Okinawa and the brutal end of WWII in the Pacific. Of course, Marker fans would wish to salvage all of Marker’s films, and have in large part been granted that wish with the ongoing releases on DVD in French and English – though English-speaking fans and followers still await the big-yet-incomplete step towards an Oeuvres complètes of the magnificent Planète Chris Marker collection, still available only in French. Instead, we have the rich Chris Marker Collection, published by Soda Pictures (following the impetus of the Whitechapel exhibition), and many individual releases. For a inventive thematic look at Marker’s work circa 1963 (but before La Jetée and Joli Mai), take a look at the essay Markeriana by Roger Tailleur, newly added to the site’s core content. In any case, it seemed like the right moment for this site to track down this YouTube version of Cuba Si!, despite the poor quality and the ads, alas, as Fidel Castro has now passed, and with him the era whose inception this film documents, when Marker was 40 and the Sixties were just beginning their wild inscriptions into history and memory. Chance having made me born a bit restless and gifted with the insatiable curiosity of the Elephant’s Child, when I browse mentally my diary of 1967 I think on the contrary that one had to be pretty dumb not to catch a glimpse of what was already cooking. Springtime: a trip to Cuba, at its heretic best (to the extent that the sheer name of Cuba never appeared any more in L’Humanité, the French communist newspaper), Fidel thundering against the dogmatism of the Marxist-Leninist manuals, severing ties with all the communist parties in South America, explaining to us that the time had come for ‘non-Party people, new people, who break with that tepid, weakly, pseudo-revolutionary model of some who boast to be revolutionaries …’, wrong-footing his Russian allies in such a way that one year later, on the verge of delivering the famous speech in which he would align with the Soviet intervention in Czechoslovakia, everybody in Havana was certain that he was to announce the split with the USSR (the icy shower would be but icier, but so goes History). En France, selon les textes en vigueur du Centre national du cinéma et de l’image animée, la durée d’un long métrage est supérieure à une heure, plus exactement à 58 minutes et 29 secondes, c’est-à-dire l’équivalent d’une bobine de film de 35 mm standard de 1 600 mètres.